Tomorrow I am planning to put a pot of this incredibly easy and incredibly delicious meat and bean mix in the slow cooker to work its magic while I put away all the decorations. 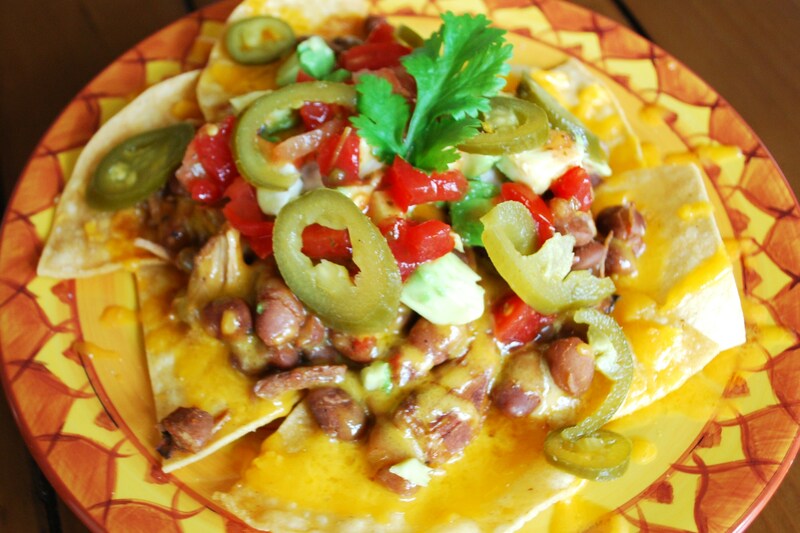 And when I’m finished, I’ll be able to make something fun with it like these Pork and Pinto Bean Nachos. Start with a bag of dried beans, some meat, and a few pantry ingredients, dump it all in a slow cooker, and let it go. How easy is that? This is another one of those ‘possibilities are endless’ recipes. First of all, you can use any meat you like – I’ve made it with chicken pieces, pork loin, beef and venison stew meat. And then once it’s done, it makes the perfect filling for any kind of Mexican dish you can think of. Way better than crispy fried Christmas tree. Rinse and sort beans according to package directions. Place pinto beans in a 6-quart or larger slow cooker. Place pork pieces on top and cover with rest of ingredients. Cover and cook on LOW 8 hours or on HIGH 5 hours until beans and meat are tender. Stir to break meat into small pieces. 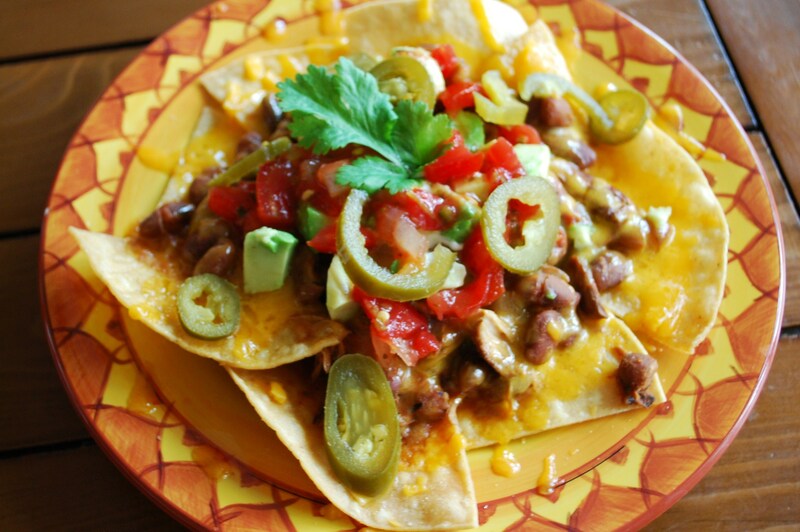 *For the nachos, top tortilla chips with the meat mixture and cover with shredded cheese. Microwave until melted. Top with your favorite things like avocado, salsa, jalapeño and cilantro. Yum! This looks delicious! Did you get the tree out? Yes, finally. After a lot of sweeping it’s gone (thrown into the lake to attract fish!). We had company this weekend, so it was a must – isn’t that what it usually takes to get something done? Looks awesome! Perfect weeknight dinner – although I’m thinking soft tacos instead of nachos. Yum! Thank you!